The image is from the first, recent and only test. Felt a bit hurried maintaining the line tension, but had a nice “kite is all around me” feeling (Troggs music video: https://www.youtube.com/watch?v=c7BdyNAwBk4 ). After extensive self reflection, I've come to the conclusion I'm offended by this topic.. Specifically the word "might"
Agreed! "Might" is nowhere close. Well Eli might like the food, but he may have to try it for the first time before he eats it all. Eli is my Green Eggs and Ham Hero. You use kites that you have flown as decoration in your house. Could be when you pass along kites to get another. Then you want the ones you let go back. Hmm… I’ve never parted with a kite – want to be able to go back to them and see what they can do when you have learnt more. In the other end, to set a pace for the acquisitions I have my wife to explain the purchases to and also that I want to get to know the new kite well. Unless there is a good reason for it, not having caused wear on a new kite within half a year or so I see as a failure and possibly even a shameful one. Having (Had? - Working on it) typically one session, possibly two, sessions per week also limits acquisitions when having use as a requirement. 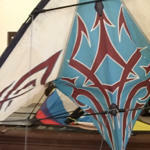 But it is painful to sometimes watch a kite model you want to get obsolete and disappear from the kite shops. 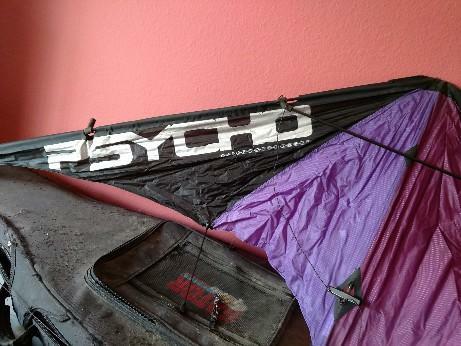 And yes, I believe that having a kite purchase strategy/pattern could also mean that “You might be a kite nut” (which is far from unique in this Forum…). Good luck @Breezin with getting them (the models) back! Yeah strategy has had some adjustments. Couple kites showed up seemingly all on their own.Fortunate enough to fly most days. The drawback is not a disciplined strategy on trick learning that others acquire by having less time on the lines. My bad but it does make for some wild and crazy fun flying 😹. Winds hitting 32 kph +.Close to 2 hours of that on a vented and needed a break before something broke. Seem to break things more often when getting fatigued.Imagine that. Seem to care less and less about the repairs as time goes on. That's probably a little nuts too. Fly it, break it, fix it and fly it again. You walk into a restaurant to have dinner with friends only to yelp in pain as you sit down, then sheepishly remove a ground stake from your back pocket and put it on the table like some kind of strange eating utensil. some kind of strange eating utensil. Clam skewer. What else could it possibly be LOL. .... if your better half is a kite bolt!? 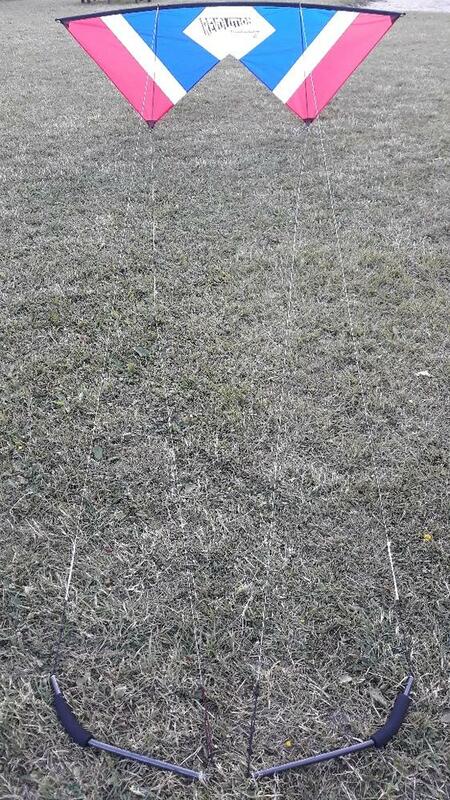 My sincere apologies and regrets to those of you trying to contain your kite accumulating jitters. Flew right on past nuts and now approaching kite 🤪. 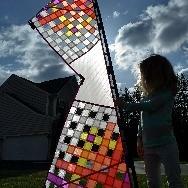 Next kite should be here by Tues. Dipping into my Super Fly fund pretty hard. "And yes, I believe that having a kite purchase strategy/pattern could also mean that “You might be a kite nut” (which is far from unique in this Forum…)." As well as if you have ever listed off more than 5 kites you have in mind for your next one without having to stop and think much about it. You might be definitely are a kite nut if you're on this forum. 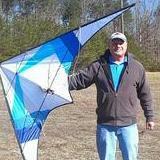 You have a database for your kites..
Could just be a nerd thing! Long past "kite nut" and into something else ...........not sure what that is .....!!!!! ..... admiring someone else's quad-lined kite, when you have 60+ of 'em already in the vehicle! ... when the wife asks you about the two kites she has already approved for purchase and you haven't gotten around to ordering them yet! if you don't think that's strange at all.. A Golf Ball stake will definitely crack Snow Crab..